I received a great article about the town of Polignano from Rhoibakk in Arizona. I'll share that with you now but first I just wanted to say what an incredible town Polignano is. 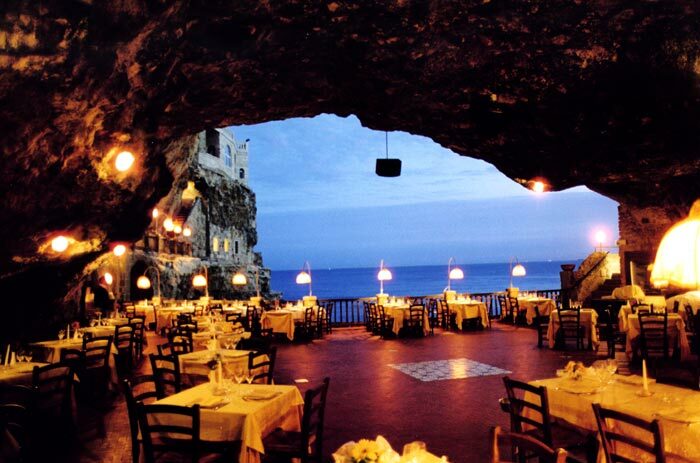 The photo above is of the cave restaurant in the town, the cave is part of one of the most incredible places I've ever stayed - the Grotta Palazzese. You can click here for more details and photos. "This is the south end of Italy. Polignano is a seaside town on the edge of the Adriatic Sea. What a place! The town is in the Puglia region of Italy where there are more olive trees than people. the estimate for the region is 60 million trees. It's farm country for sure. 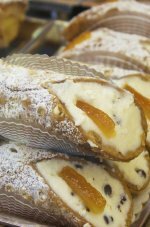 The region is gaining in popularity with tourists, both Italian and foreigners but is nowhere near the madhouse that places like Sorrento and the Amalfi coast have become. The town itself has spread south from the original walled community. It's pleasant with seaside developments but the real deal is the walled city. When you walk through the portal, its like stepping back four hundred years. 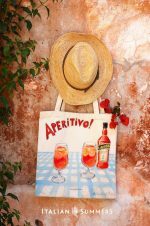 The community is timeless, streets are narrow, buildings are multi-storied and all around you is the noisy, energetic pace of Italian life. You can stroll along the streets taking in the ever changing scene. Old people sit on the stoops and yell back and forth and there are always children racing up and down the streets. We ate in the main square and watched a wedding procession come through headed for the church. The most beautiful spot is overlooking the ocean. The sea is a vivid blue with huge waves pounding the rock straight below you. it's a timeless scene that, coupled with the charm of a beautiful old village makes you want to stay. If you have to leave then you'll long to come back again." 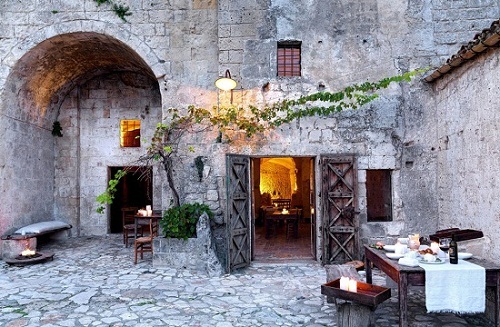 If once in a lifetime and unforgettable experiences are your thing then Matera and the Sextantio Cave Hotel (click for details) have to be on your bucket list. Stepping out of my hotel I feel I've gone back to biblical times - the town is that ancient. In fact it's one of the oldest inhabited towns on earth. Not for nothing did they film The Passion of the Christ here - it looks so much like Biblical Jerusalem. It's a weird experience staying in this cave city where, until as recently as 1950, a large part of the population of the city lived. Nothing I've ever done is even remotely similar. 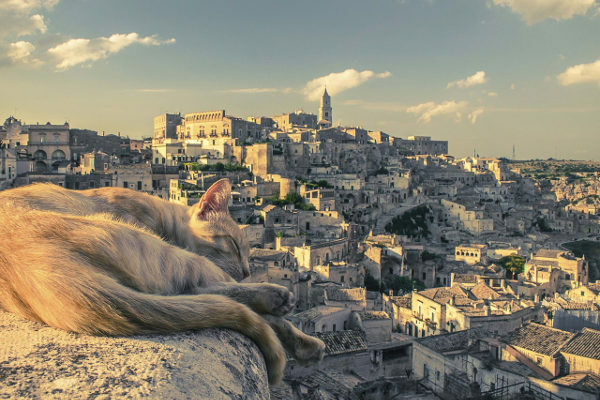 Matera is in the region of Basilicata, just to the west of Puglia, If you're not sure where that is click on this Sextantio Hotel link and you'll see the option to view a map of the region. Made 2019 European Capital of Culture, a UNESCO World Heritage site - simply everything about Matera will leave you in awe. The location, the architecture the atmosphere... I could go on forever. Most amazing of all is the old part of the town called Sassi. Here the houses seem to be caves, others grow out of the mountainside like stone mushrooms, roads are sometimes on top of the buildings and lanes lead to walls with huge drop offs into the canyon far below. There's something so unique about the town, it's like nowhere else in Italy and the inhabitants are so welcoming. It's as if they've always known they lived somewhere rather special but somehow the world did not appreciate their town. Now that a few more tourists are arriving they seem delighted, happy to welcome you and so pleased to share that Matera magic with you. Thankfully tourist numbers are still low so visit in the months of April/May or late September October and you'll have cooler weather (the summer months can be frightfully hot) and mostly just locals to keep you company. 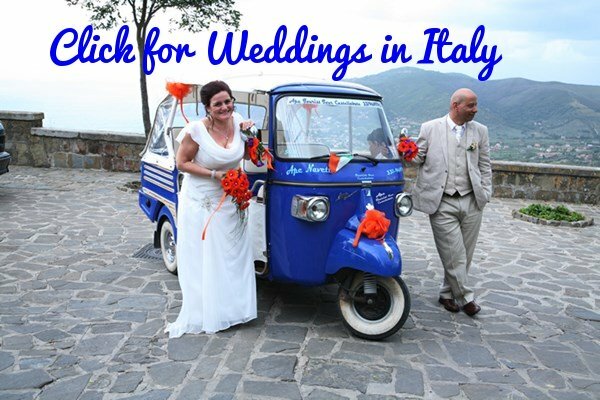 For another amazing village in Basilicata, called Castelmezzano, click here. 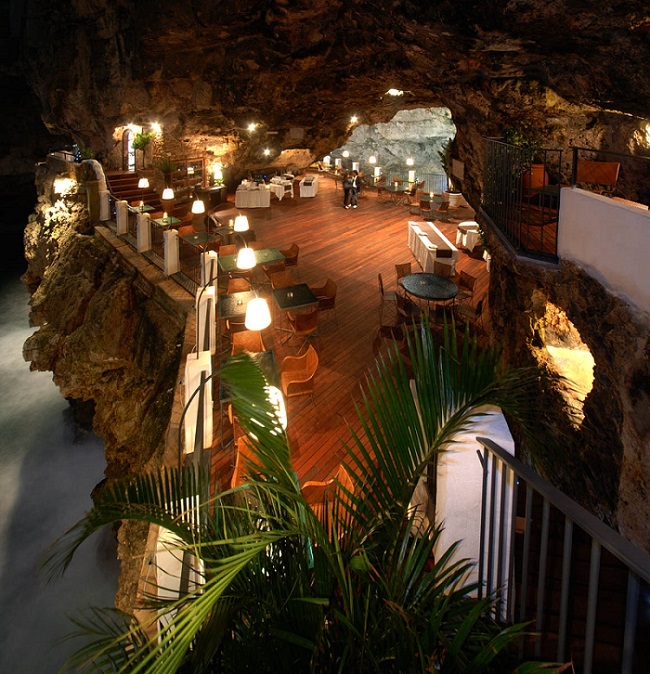 Discover the church in a cave - click here.